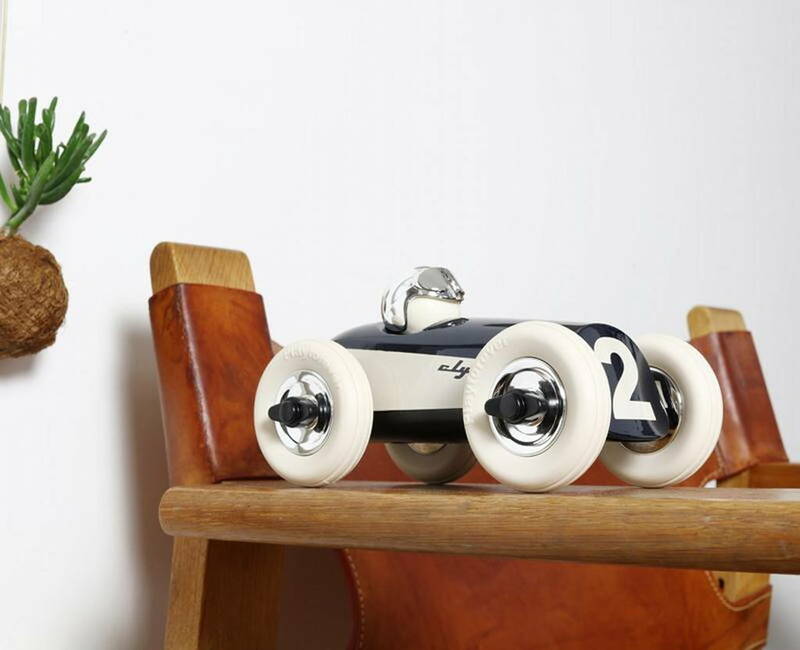 Tear up the track with our vintage inspired toy racing car. Designed for speed and endurance the Midi Clyde Racing car is a great toy for any budding car enthusiast. 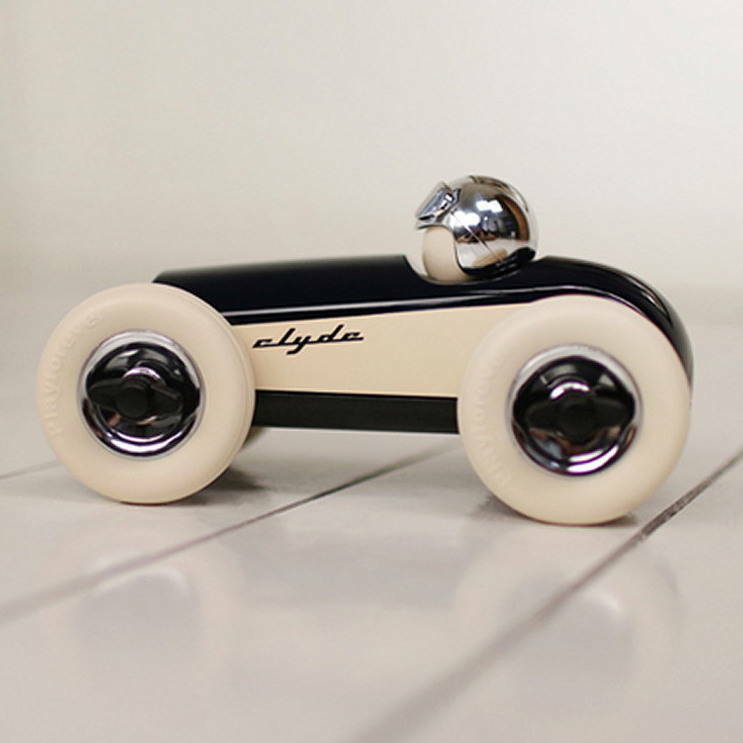 Embracing the era of 1950s rockabilly chic, Clyde is modern twist on the classic hot rod American cars. 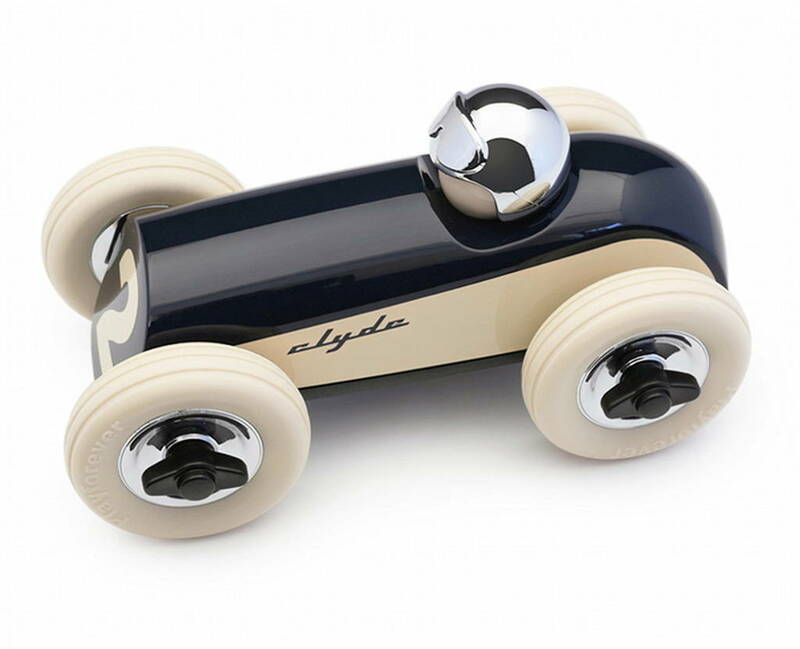 riginally created in wood (and maintaining its simple form when remodeled into plastic), the beauty of Clyde lies in its simplicity: a pure shape on wheels, with the addition of bold graphics to bring it to life. 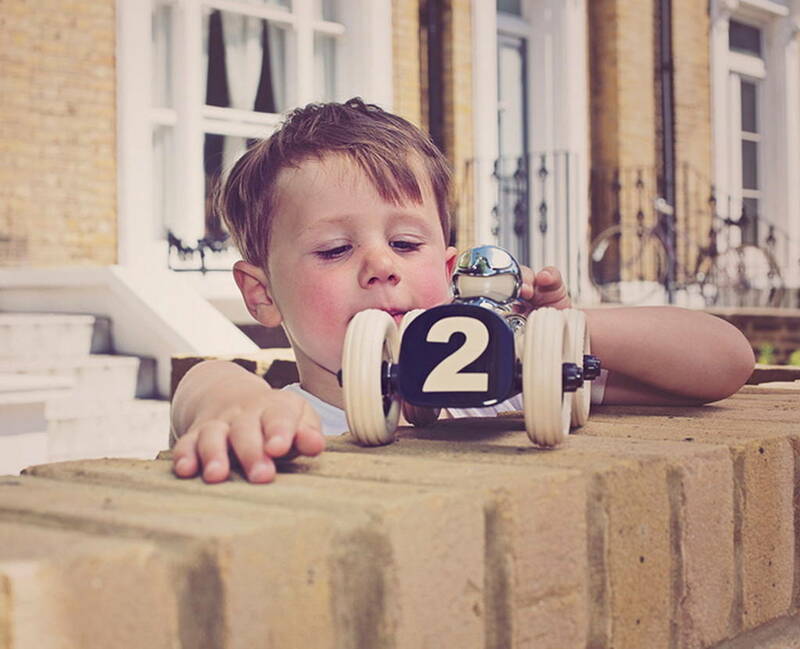 One of a range of racing car designs. 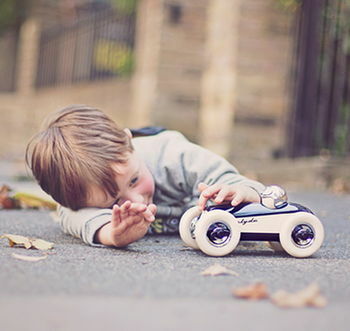 Please see our full range for details. ABS Plastic and TPE Rubber with ultra hard wearing UV coating that is super glossy.